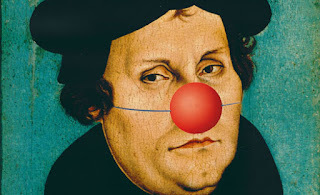 Martin Luther: Betrayer of Church, Friends, and Supporters --- Question: How can you hate the Catholic Church and the Papacy so much and still get a statue in the Vatican? Just a Reminder about what Francis said about Martin Luther, Lutheranism, and the Doctrine of Justification Just Last Year When the "Celebration" of the Arch-Heretic (Luther, that is) Just Got Going. 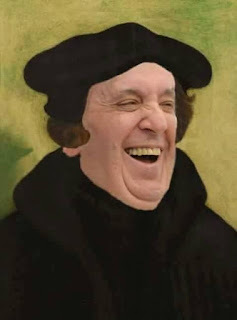 Francis notably spoke of the separation between Catholics and Lutherans caused by the Reformation in the past tense. Yes, readers, Paul Manafort, Jr. is my 3rd cousin from my mother's side. He was the first one indicted by the Mueller Probe into "Russian Connnections" between the Trump campaign and the Russian government. Paul Manafort's indictment has to do with neither -- yet. 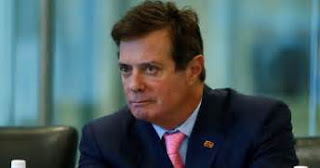 Manafort Jr.'s father Paul Manafort Sr. got his political start --- thanks to my father --- in my home town of New Britain, Connecticut. Paul Manafort, Jr. got his start by attending Georgetown University in the early 70s and no one saw much of him after that. He has been quite "successful" in his life, even running the Trump campaign for a short while. From what is said on Twitter, he is incredibly wealthy and quite lavish in his spending. According to the Indictment, Manafort spent $1.3MM on home automation, lighting and entertainment, $849K on men's clothing, $655K on landscaping, $934K on antique rugs.